My dad is an extremely hard worker. He's worked himself to the bone to be able to give us the most amazing life. I'm well into my thirties, and he's still providing more than a man should. It's not unusual for him to put in 16 hours a day at work. It has taken its toll on his body. It makes me sad to see him in the pain that he is in, all just to makes his family have what he never had. The one thing aside from work that he loves to do is go to his cottage and fish. He loves the peaceful tranquility. I believe it's the only time he feels that kind of peace. So, I wanted to do a special painting for him. Something to let him know how much I love him. 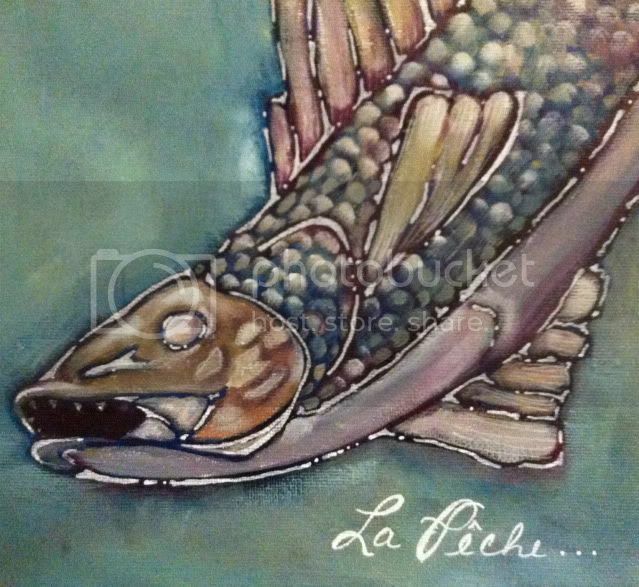 Here's his fish, titled 'La Peche'. 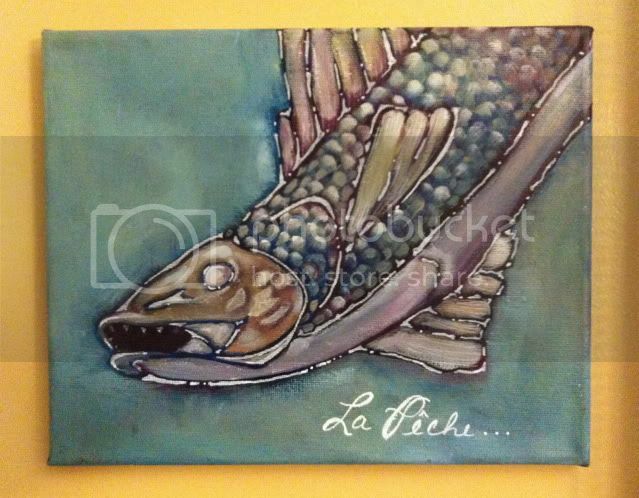 I love it, but am not familiar with that fish, and I am a fisherwoman since birth...lol. Is there another name for it? This is really neat. It looks almost like batik which gives it a cool underwater kind of effect. Sounds like your Dad is a really good man! And a lucky one to have such a talented and loving daughter! 47 different personalities and a craft for each one! Thanks, darling! It's been shipped! I hope he likes it!